What Is the Taylor 324CE? Who Is this Acoustic Electric Guitar Designed for? Conclusion – Is the Taylor 324CE Worth a Second Look? What Are The Best Acoustic Electric Guitar Brands? Taylor Guitars is based in California and is the distinction of being the top manufacturer of acoustic guitars in the US. 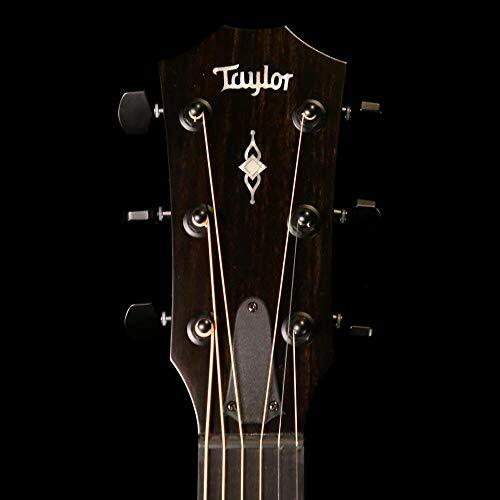 By using different tonewoods to determine what creates the best sounding guitar, Taylor Guitars has managed to create some of the most beloved instruments on the market and to create a name for themselves around the world. The 300 series of guitars are all solid wood guitars with either spruce or mahogany for the top. The prices vary depending on the model, but these are definitely not the least expensive guitars on the market, which is a testament to their high quality and gorgeous sound and appearance. While there are more than 20 different guitars in the 300 series, one of the most beloved is the Taylor 324CE. This guitar is a six-string guitar with a Tropical Mahogany top and is a Grand Auditorium body style. The CE stands for “cutaway” and “electronics,” making it easy for users to determine what 300 Series guitar is right for them. This grand auditorium version in the 320 series is designed for live performances. Thanks to the incredible electronics in the Taylor 324CE, it is a great option for live shows and is sure to produce a clear and attractive sound. It has a rich tone that is surprisingly clear and bright, making it perfect for musicians of all genres. Thanks to the power of this guitar, it will easily stand out when played with other instruments, making it a clear choice for use in a praise band. One thing that may limit who is able or willing to buy this guitar is the price tag. While it is a wonderful instrument that will sound great when played by most musicians, some beginners and intermediate musicians may not be willing to make such an investment in their guitar. Advanced and professional musicians know, however, that the Taylor 324CE sounds great in most any application, making it a great choice. 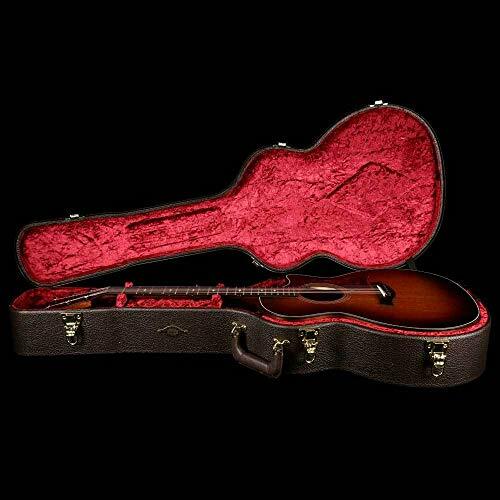 Many guitars that you can buy online don’t ship with any accessories, but the Taylor 324CE ships with a hardshell case. 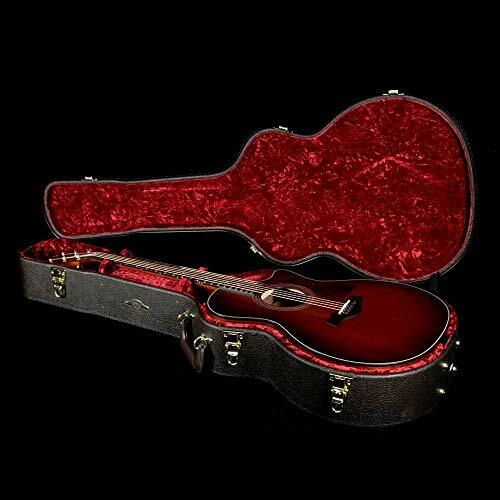 This is perfect, no matter if you are going to be gigging or simply want to be able to keep your guitar safe and in good condition when not in use, as the case is designed to protect the guitar from any damage. Not only will you need picks, a capo, and a strap, but you will want to make sure that you pick up a high-quality amp. This will allow you to enjoy great sound and tone from your guitar. While it can be tempting to skimp and buy a lower quality amp, remember that you are making an investment in the future sound of your guitar and that buying a higher quality amp is a good idea. 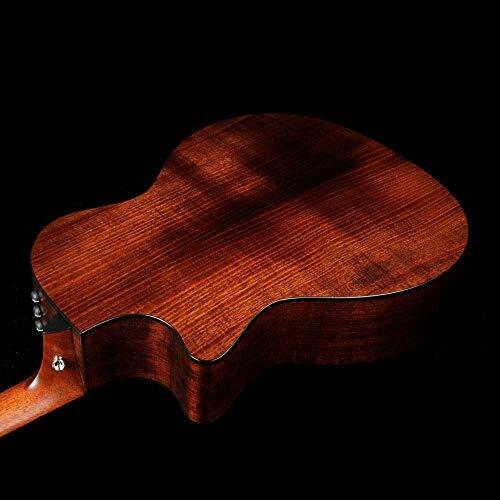 The Grand Auditorium body shape of the Taylor 324CE makes it a very versatile instrument. It produces incredible volume, even when used for fingerpicking. Thanks to the shape of this guitar, musicians don’t have to worry about their tones becoming unbalanced when they are strumming or flatpicking. Additionally, there is V-Class bracing in the Taylor 324CE. This is very different from traditional X-bracing and provides new support and platform for acoustic play. Thanks to the design of this guitar, musicians can enjoy optimized sound and response. 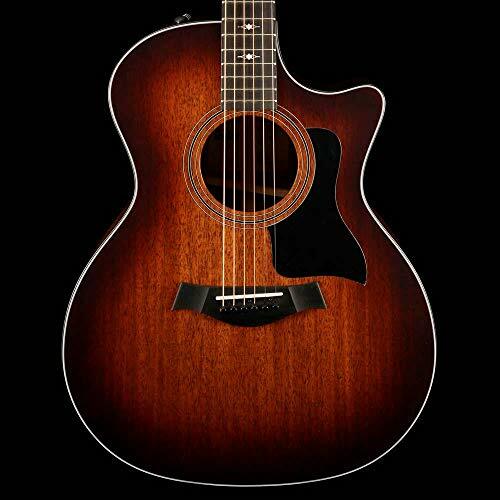 Taylor is known for revolutionizing their instruments, and the Taylor 324CE is no exception. The Expression System 2 features a patented pickup located behind the saddle with three individually calibrated sensors. This allows for all of the nuances and tones to shine when the guitar is played, no matter if it is used with a PA, an amp, or directly with recording software. The Taylor 324CE is a great guitar for most musicians, but the price tag is a little high. If you want an acoustic-electric guitar with a similar feel, then you may want to consider the Martin Road Series DRS1. 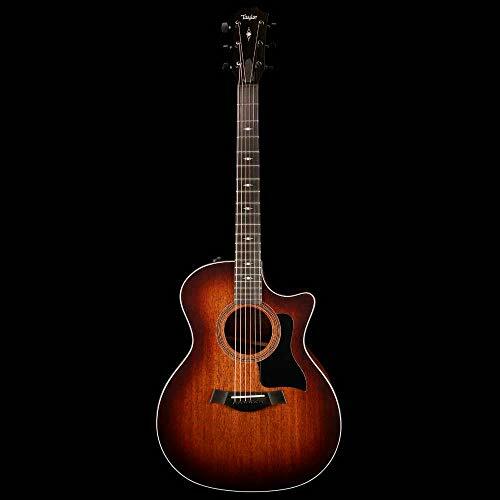 This dreadnought guitar is as attractive as the Taylor 324CE and has incredible Fishman Sonitone Electronics, making it a great choice for musicians who want the best sound from their instrument. Another great alternative is the Takamine Pro Series EF508KC NEX. This acoustic-electric guitar is made from all Koa and features a CT4B II preamp system, as well as three-band EQ. It is a little smaller than some other guitars on the market, but still offers a full sound, so you never feel like you are sacrificing your sound quality when you choose this alternative. Anyone looking for a stand-out guitar that offers great sound and tone and will allow for nuanced play will appreciate the Taylor 324CE and will want to give it a second look. It’s not only incredibly gorgeous, but it produces a clear and impressive sound, helping it to really stand out when on stage. 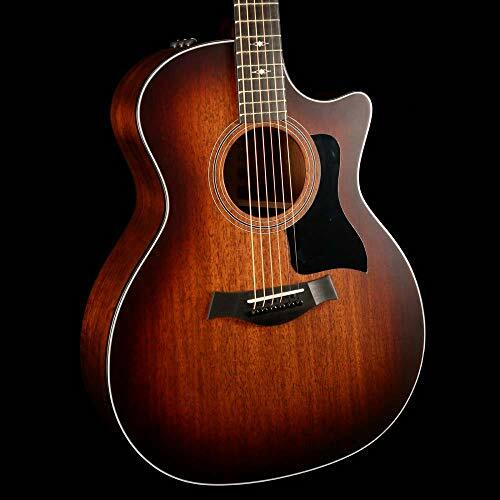 Taylor is known for building reliable and high-quality instruments, and the Taylor 324CE is no different. It features amazing craftsmanship to ensure that the sound rolls out of the instrument and envelopes the listener and also provides clear and bright notes that won’t ever sound off. Any performing musician will appreciate the ability of this guitar to go from Friday night gigs to Sunday morning praise band performances and still sound amazing. As long as you can afford the higher price tag of this guitar, you will want to consider purchasing it.